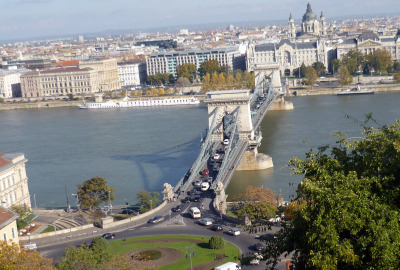 The wonderful thing about Budapest City Park – the city’s largest, is that there is always something to please every visitor and this makes it one of the favorite Budapest attractions for families. This is where you can really take your time and appreciate the greener things in life! 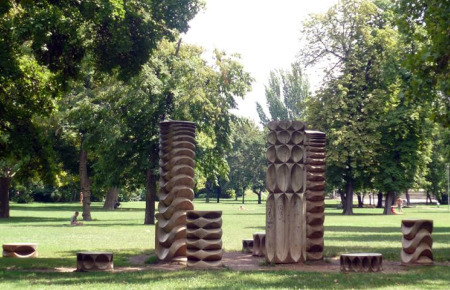 The park is really attractive any time of year but I personally recommend the park for summer strolls in and out of the shade of the sycamore trees, relaxing over a picnic with friends and to make the most out of the family attractions. The City Park is accessible for locals and tourists alike since there are many walkways that make its main attractions easy to find. The Budapest city park was established as a public park at the beginning of the 19th century and consists of several attractions such as the Transport Museum of Budapest, The Budapest Circus, Szechenyi Baths, the Budapest Zoo, Budapest’s Amusement Park (closed in winter), Vajdahunyad Castle, the Lake of the City Park (Ice Skating rink in winter) as well as several tennis, football and roller skating courts. Budapestians love to just spend time to relax in the grounds of the Budapest City Park but it is also a great alternative when planning what to do in Budapest. Visiting the park makes a nice leisurely change to hopping around the city’s main attractions – take your time and spend a day here for optimum leisure! Most people will begin at the end of the park near to Heroes Square and by crossing a small bridge that leads you to the fairytale like Vajdahunyad Castle. It is marvelous just to walk around the castle and to admire its many architectural features such as its Baroque facade and Gothic portcullis. The castle complex consists of a combination of four different architectural styles: the Romanesque, the Gothic, the Transitional and the Baroque. This odd but interesting mixture was created by Ignác Alpár, a great architect who was commissioned to create models for an exhibition that contained all the styles of Hungary’s architectural heritage of the previous 1000 years on the occasion of the celebration of the Millennium of the Hungarian state in 1896. 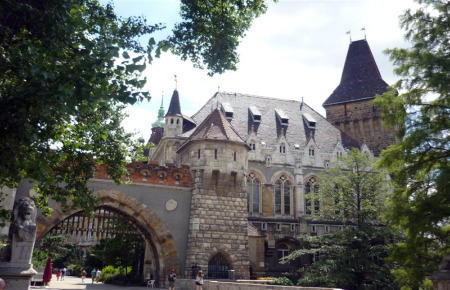 The exhibition was so successful that one of the buildings was chosen to be built in stone and bricks, and that was the Vajdahunyad castle. This castle’s most enchanting sections were based on an old castle of the Hunyad clan from Transylvania, this is the part of the castle that faces the lake of Budapest City Park. Some meters further from the entrance to the castle you will find on your left a very attractive small chapel, the Ják chapel. 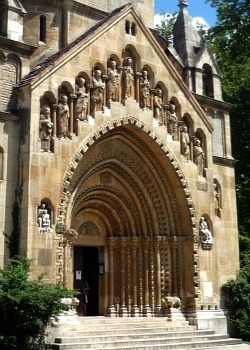 The Ják chapel in the Budapest city park is an exact reproduction of the entrance of the Benedictine Abbey of Ják . This medieval church was found in 1214 in Ják, a small village located in the western Transdanubia region of Hungary, about 10 km south from the city of Szombathely and near the Austrian border . The facade of the chapel is beautifully decorated with sphinxes and religious statues in Romanesque style. Ják chapel (Jaki Kapolna) is a favorite place among locals for summer weddings. The Baroque section of the castle houses the Agricultural museum. This museum is the largest museum of its kind in Hungary and Europe. You will find this building easily on your right, just some steps further after the Ják chapel. 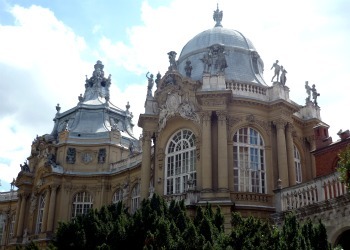 The Hungarian Agricultural museum features exhibitions about the Hungarian history of agriculture, the Hungarian grapes, wine production in Hungary, as well as about wines in Europe. There are some exhibitions dedicated to the history of hunting and fishing in Hungary, as well as a section about Hungarian domestic animals. Another point of interest is just in front of the museum’s main entrance is a sculpture entitled “the statue of Anonymus” completed in 1903 by Hungarian artist and sculptor Miklós Ligeti. His chronicles were mostly based on legends and recorded in a manuscript called Gesta Hungarorum (the Deeds of the Hungarians)which is kept at the Szechenyi Library. The chronicler’s identity is lost due to the facts that he never signed his works with his own name but as “the notary of the glorious King Béla” (GLORIOSISSIMI BELAE REGIS NOTARIUS) and that there were four kings named Béla between XII and XIII centuries. 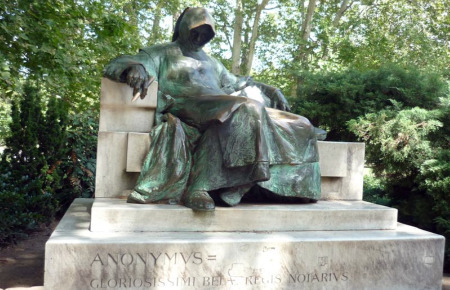 So his name remains Anonymus. Locals consider of good luck to touch the pen Anonymus is holding in his hand. 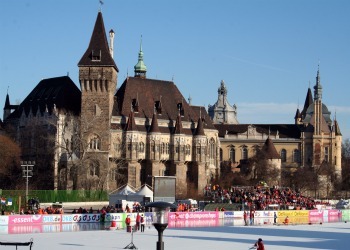 Surrounding the Vajdahunyad castle is the city lake with its ice skating enthusiasts in winter and the opportunity of rowing throughout the rest of the year. If you are traveling with children, the lake is a great place to feed ducks and to have fun at the playgrounds you find along the lake. Every winter the lake is turned into the biggest ice skating rink of Budapest. A great place for one of local’s favorite winter activities. 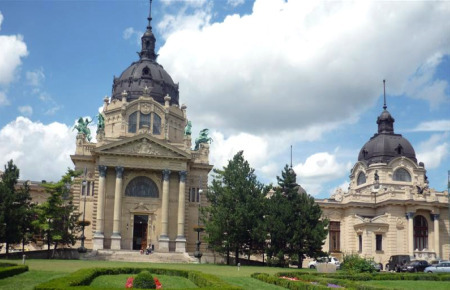 Szechenyi Spa is a wonderful complex of baths built in neo Baroque style in 1909-1913. The complex consists of three outdoor and twelve indoor pools, as well as a big variety of services such as infra sauna, mud packing, and Finnish saunas, steam baths, massages of all kinds and therapeutic and cosmetic and treatments. 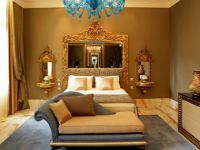 Even if you are not a fan of thermal baths, I recommend you, at least to enter the baths complex and take a look at its interior, you will be able to see a part of the outdoor pools through the windows, at the reception area in any of the entrances. Budapest’s Zoo is one of the city’ most frequented attractions and one of the world’s oldest zoos .It was established in 1866 by the Hungarian Academy of Science. 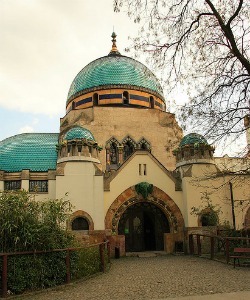 Since its establishment, the Budapest zoo has gone through several ups and downs due to financial reasons besides its partial destruction during the IIWW when only 15 animals survived. Luckily, things have changed and today Budapest features a well organized zoo that provides excellent living conditions for its guests and great entertainment for children, families and everyone interested in animals. In Budapest zoo you can find animals from more than 700 species and 2000 different types of plants organized in recreated environments such as the elephant house, the palm house, the aquarium, the monkey house, the bird house, the butterfly house and many others. Not all animals are enclosed, most of them have their own outdoor habitat. Most of the outstanding buildings you find in Budapest zoo were built in Art Nouveau style and are considered national landmarks. Some of this buildings are the palm house, the birds house, the elephant house and the main entrance. 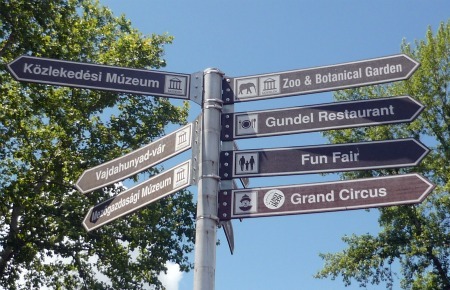 If you are planning to visit the zoo, be prepared to walk, Budapest zoo is extensive and hosts a wide range of out of the ordinary animals as well as endangered species and plants. An expansion of the zoo has been planned for the upcoming years in the premises of the amusement park. The park will be relocated, the new place is still unknown. Budapest City Park wasn’t always the green gem that it is today. Before it was opened up to the public, the park was made up of swamps and hunting grounds for noblemen – with many of the trees that you see today being planted between the 18th and 19th centuries. During this period the vast swamps were drained and under the orders of the emperor, the gardens would flourish and become one of the first public parks around the world with the notion of providing a place for its resident’s to relax. In 1896 the Hungarian Millennium Exhibition was held and the park stood at the end of the monumental Andrassy Avenue and Heroes Square. 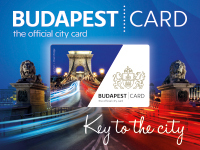 How to get to the Budapest City Park? The best way to access Városliget is from Heroes Square via the metro M1 line, which runs under Andrassy út from Bajczy-Zsilinsky út to Heroes Square. Alternatively you can get off at the Szechényi Fürdő station which takes you right in front of the Szechenyi baths. Or you can take one of the following buses 105 and 30 or trolleybuses: 72,75 or 79.